What a race weekend it was! Yahoo also raced well! Alas, the elusive sub-2 was not within our grasp this weekend but we were close in our second race on Saturday (2:00.47). This dog fight was a great preview of what a potential final might look like against Got Gainz (2:00.09). The big story of the weekend was Evolution in the semis! Smashing the crew best from last year by 4 seconds with a time of 2:08.73, racing against the formidable Got Gainz and Quiet Riot and beating out Dragnum, Spartans and Max Storm to earn a spot in the A-Division final! It was an incredibly gutsy race; not the most well-executed but Evo did meet the coaches' objective which was to secure a spot in the A final. Mixed A Final - we found ourselves in a tough (but exciting) situation having two crews in the show down but also facing Got Gains, Quiet Riot and Oil City Crew. There was a big delay before the start of the race but it seemed like both crews stayed calm and focused! Finally the boats were lined up, the horn went and everyone was off...both boats were fully energized - there were crazy calls and some wild wake to deal with! In the end, Yahoo came up a nose short for gold (2:03.45) but walked away with a very respectable silver. (Got Gainz 2:03.05) Evolution finished last but earned their "5th overall" title and probably some new targets on their backs (at a minimum, Dragnum and Spartans will be looking for redemption next year). No doubt - everyone left it all on the water! Huge applause to our coaching team for getting us race ready throughout the season. This contributed to the successful weekend we had! The planning efforts the coaches put into our race lineups helped ensure we had a back up plan when we faced off in the A division. Thank-you to our team captains - Charles, Natasha and Jeanette who attended the team captain’s meeting Friday night on our behalf, for picking up the race packages and helping to keep track of everyone. Thank-you to the Tyler brothers (Brandon and Devin) for picking up our snacks & Brandon for helping us order our Subway lunch. Janelle for stepping in as a stroke at the last minute and Kana for racing back to Calgary from Edmonton to step in as a drummer for Angels and Evo for their finals. It was a great first-time drumming effort, especially so last minute. Well done Janelle and Kana! 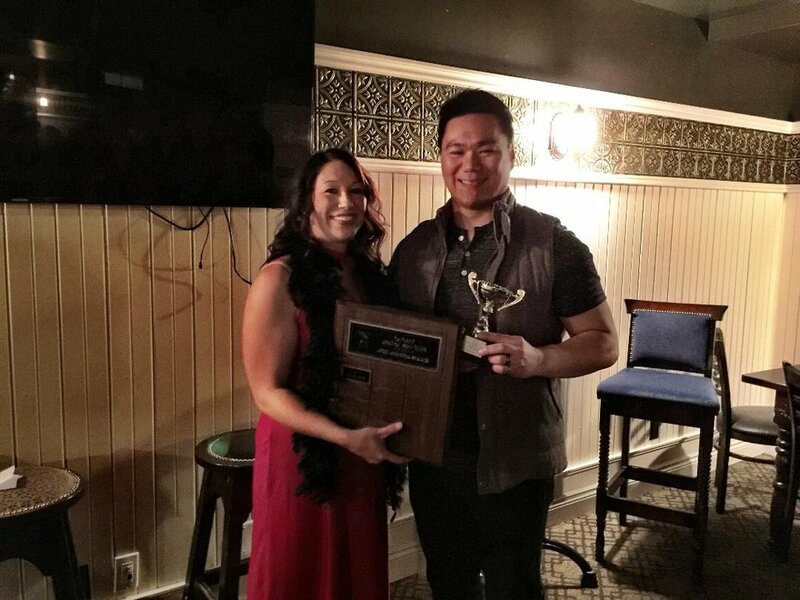 Not only did Grace step up and paddle and steer; she also gave back to the dragon boat community to help steer for the festival title sponsor Sinopec Energy! Thank you Grace! You are becoming quite the steering extraordinaire. Last but not least, a shout out to our guest paddlers: Chelsey, Steph and Leslie. Thank you ladies ! It was great having you race with us Yahoos again. That’s a wrap for another YYC festival! Hope you all had a great weekend! On to Lethbridge recap. Where to start?! In my roughly 8 years of paddling with CDBC I've never encountered bad weather in Lethbridge (to be fair, I missed the one year it poured) so you can imagine my chagrin when we pulled in Friday to lots of wind and rain. Not the best way to start a weekend. In addition to the poor weather, it seemed like many paddlers were either just coming down with or getting over colds. Yuck! Yahoo Angels paired up with Catch 22 to form C22 Angels. It was a match made in heaven! Despite never having paddled together, the ladies hit together and came out strong right from the very first race. 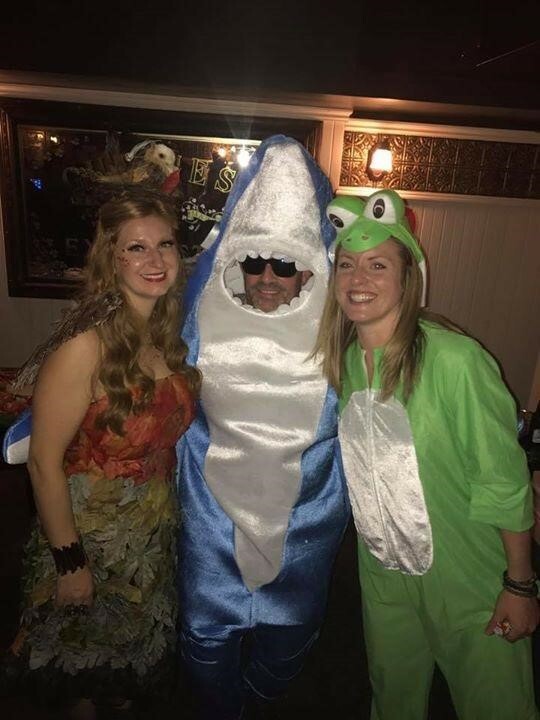 The boat felt really great and comments from the shoreline were that we "looked awesome" and "timing was excellent"! C22 Angels efforts earned them a Gold in the Women's A Division with a time of 2:19.22. The next closest time was 2:27.39 - so quite an impressive lead. Crew Yahoo was a bit shakier out of the gate. At first, we had some trouble nailing our starts. We were still fast enough to be 3rd after the first day of racing and get into in the A Division semi finals. We maintained that 3rd place position moving into the A Division Final but it was a real dog fight to secure a silver medal! Got Gainz edged us out of gold by roughly a second (Gainz 2:08.41; Yahoo 2:09.38). Catch 22 was also hot on our tail in the final (2:10.21) followed very closely by Top Made Black (2:10.51). Only 2 seconds between the 1st and 4th place team...congratulations to everyone on a well-fought battle! ...I forgot to mention that the sun came out intermittently on Race Day 2 but really shone in time for us to convene for a post-racing beverage and to enjoy the medal presentation. Hopefully everyone that attended enjoyed the festival. Stay healthy - a little over a month to go before Calgary! On August 2nd, Paul Karchut from CBC radio came out to practice with Crew Yahoo for an outdoor report on Dragon Boating. The Report was was featured this morning (Aug 16th) on CBC radio 99.1am at 7:40am. In case you missed the report today - Kelvin sounds just as ominous on the radio as he does on the boat!! 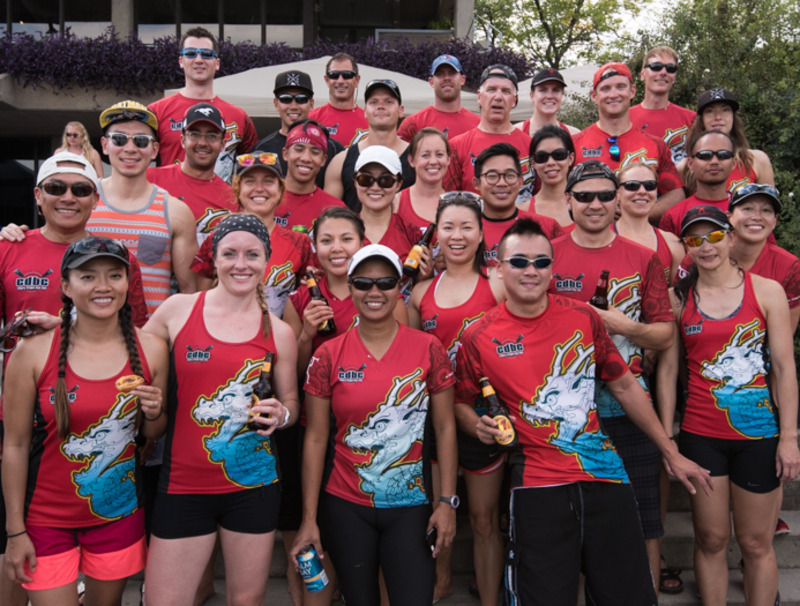 There's also our video of the race we did in Calgary last year and a few other dragon boat items. Tracy will be the most sought-after drummer in the history of dragon boating!! Looking forward to this year's Calgary Festival! 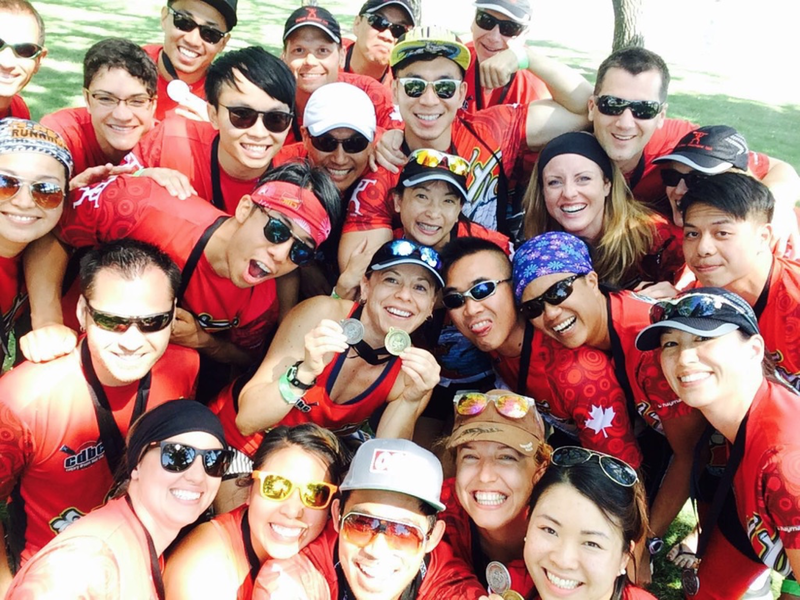 For those who don't know yet, CDBC did exceptionally well in the Festival with CDBC Crew Yahoo (Mixed team) capturing GOLD and Yahoo Angels (women's team) capturing SILVER! Congratulations to our medalist! Both teams showed incredible improvement, team spirit and the CDBC competitive drive throughout the weekend. 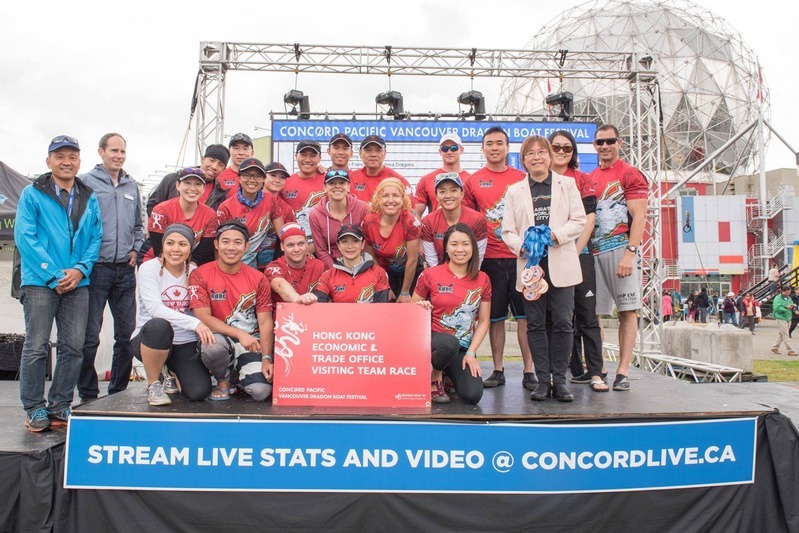 Our mixed crew faced intense competition all weekend, racing against teams who will be representing Canada in the World Club Crew Dragon Boat races in Italy. A word that can describe the team that weekend? CONSISTENT. The team consistently pulled off race times of 2:10 the entire weekend while our competition fluctuated with the water conditions and lane assignments. 2:10:08 was our best time to pull ahead on the favored team (EDBRC Storm) with an incredible finish (check out the finish line video on our Facebook page). As always, our Angels continue to impress us with their stamina and gumption! The team was comprised of women from both the Competitive and Semi-Competitive teams. With only one women's practice under our belt, we were able to capture Silver with a time of 2:27:78 in the women's division and were ranked 12th overall for the entire festival out of 61 mixed and women's teams! Fantastic work ladies! We are incredibly proud of everyone who competed in Lethbridge. Thank you to everyone who helped make the festival possible, to the countless volunteers at the Lethbridge Festival, the Executive team who work tirelessly behind the scenes to make each festival run smoothly for the team, the Coaches who dedicate their time on and off the boat to help us achieve success, and to the paddlers who helped create some unforgettable memories for us. We hope this festival stoked the flames of passion within each of you - passion for dragon boating that is. Racing is an extraordinary feeling and it makes every minute of practicing worth while. When the hard work is rewarded by excellent race results, that's icing on the cake. The Victoria Dragon boat Festival is one of my favourites! The planning committee puts on a great event, and the whole city gets behind the festival. 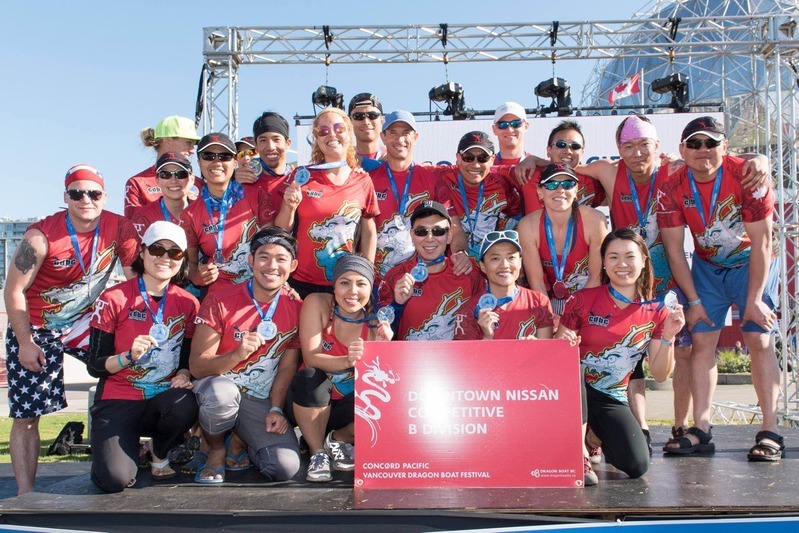 In addition to this, you get to race in one of the greatest venues in Canada, inside the Victoria Harbour, racing directly toward the Princess Hotel Downtown, right next to the legislative building. You couldnâ€™t ask for a better venue! 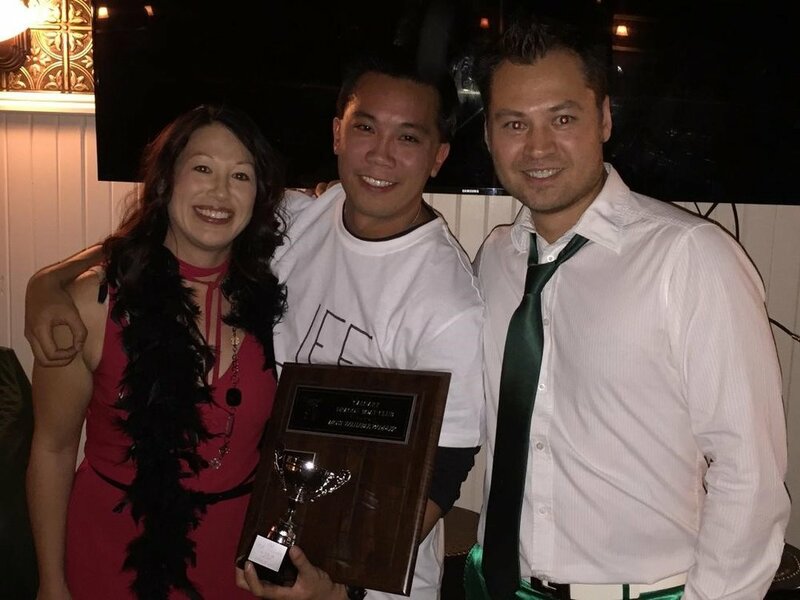 In 2009 Crew Yahoo came Third in the highest division Platinum division), only to lose in a photo finish to the Canadian Navy, and a team of Portland firefighters! I think a re-match may be in order!! Note - Replying "yes, I want to come to race in Victoria" does not guarantee you a spot on the roster, however the coaches will do their best to accommodate everyone who is interested. DO NOT BOOK ANY FLIGHTS OR HOTELS PRIOR TO HEARING FROM ME AS TO WHETHER YOU HAVE MADE THE ROSTER. Once we have a better idea of who is going, I will pass along further details on accommodations, etc. Accommodations: We have tentatively procured spacious condo-style apartments at the brand new Parkside Victoria (under "Crew Yahoo") which you will have the option of utilizing; however, you will not be restricted to this lodging. You may stay at any location of your choice, we only try and help. The rates run from $75 to $100/night per person, depending on your desired occupancy (the smallest suites fit 4 people in a 1-bedroom, and all rooms have kitchenettes). Travel: You should arrive the evening of August 12, so that you can be at the race site early enough on Saturday, August 13. Flights via West Jet currently are $460. Cost: The cost to paddle in the festival is $ 65/person. Please pay upfront so we can cover the cost of the registration. If you do not make the team, you will be refunded. If you are interested and will be committed to paddling in the Victoria Dragon Boat Festival please RSVP to Claire before June 15. Because these festivals take a lot of time and money to plan, if you RSVP for the race, we will assume you have committed the time and resources to attend the festival. The Hammer award (New) - Awarded to the hardest working individual for the season, Stephen Fournier. Congratulations to all the nominees and winners this year. It was a great season because we had so many great individuals such as the ones mentioned above making up the team.